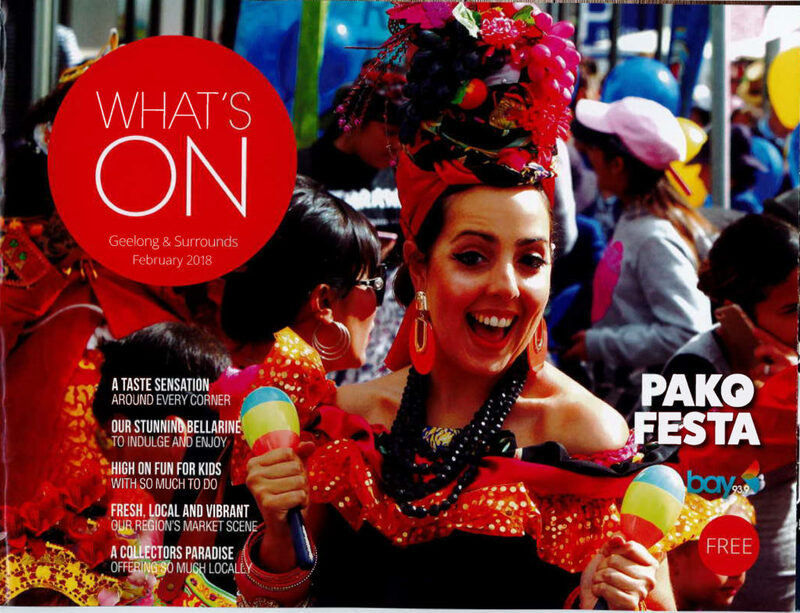 Pako Festa, now in its thirty-seventh year, is Geelong’s much loved, award-winning, free, annual community street festival – the biggest of its kind in Australia. 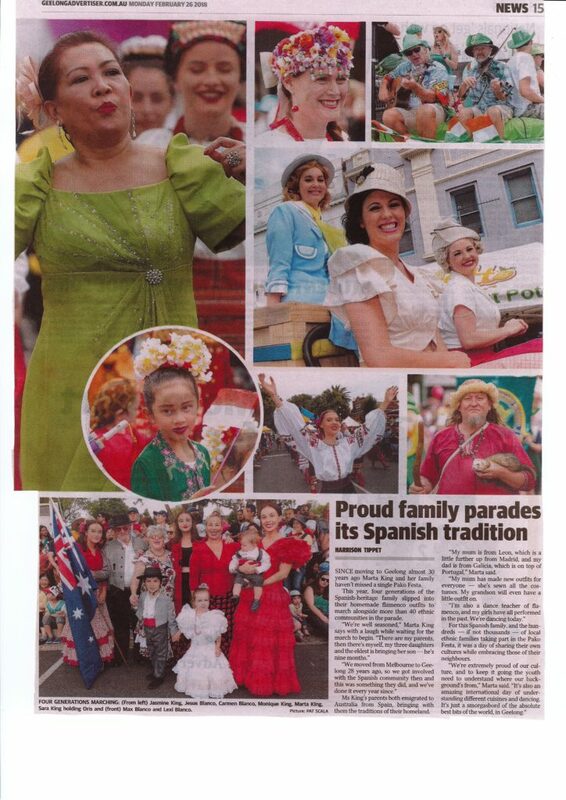 Managed by Diversitat and held on the last weekend of February in Pakington Street, Geelong West, “the multicultural heart of Geelong”, it incorporates an extravagant street parade featuring around eighty floats and hundreds of performers representing forty-five affiliated ethnic communities and around sixty other community groups and organisations. The street is lined with stalls selling traditional foods and arts and crafts, and six separate stages in the precinct offer performances of music and dance as well as interactive workshops and exhibitions. 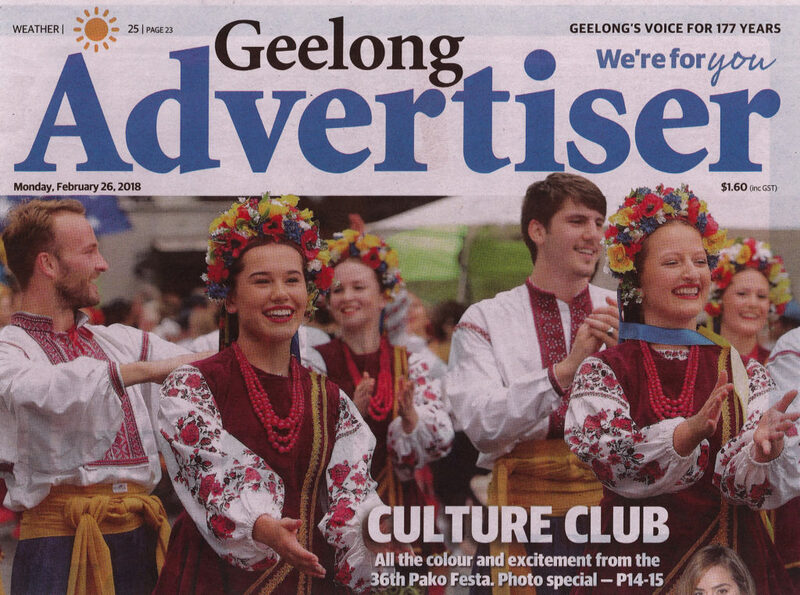 Pako Festa offers a unique opportunity for those 100,000-plus participants to socialise and celebrate in an arena of ethnic diversity and harmony, as well as gaining an appreciation of the great variety of artistic and cultural expression within Geelong’s multicultural community. 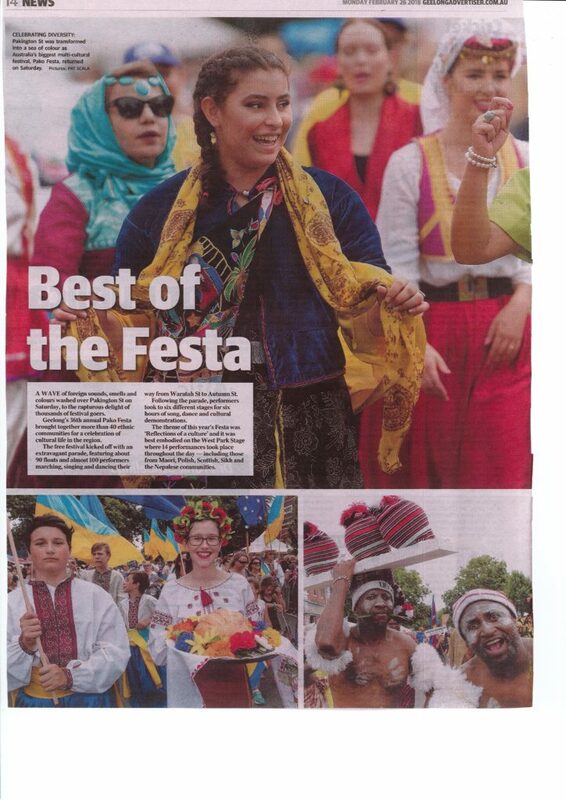 A very important aspect of Pako Festa is in its provision for Culturally and Linguistically Diverse (CALD) communities to continue to affirm and honour their contributions to Pako Festa over its 37-year history. 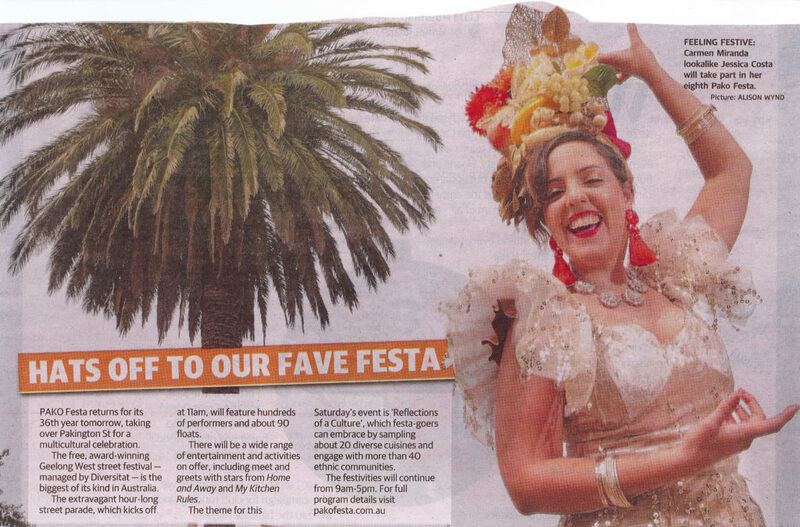 Since its inception the event continues to be a major event on the community calendar, and in 2019 Pako Festa celebrates 37 years of operation on Saturday 23rd February from 9am-5pm. The event theme for next year is “Generations” and you can expect to sample over 24 local diverse cuisines, the smells and sounds will take you to another world. Free entertainment for the entire family and of course not to mention the great Pako Festa parade starting at 11am with spectacular colour, movement and creativity from around the global. 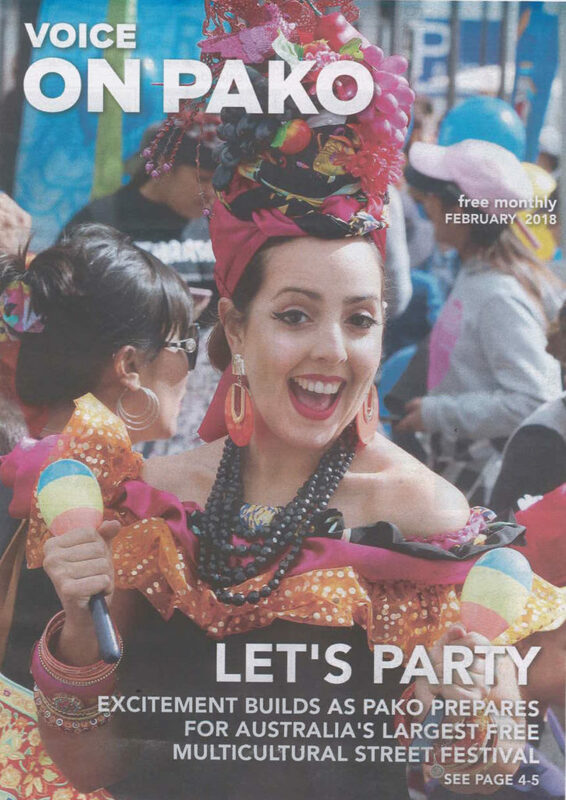 The 2019 Diversitat Pako Festa is delivered by Diversitat and is supported by The Victorian State Government, Victorian Multicultural Commission and the City of Greater Geelong. In addition it could not be delivered without the support of many other local and non-local organisations and businesses.